The chimney chase cover is located at the top of the chimney to keep out rain, snow and wildlife. The chase cover fits over the entire top of your chimney covering the chimney chase itself the way a shoe box lid covers a shoe box. 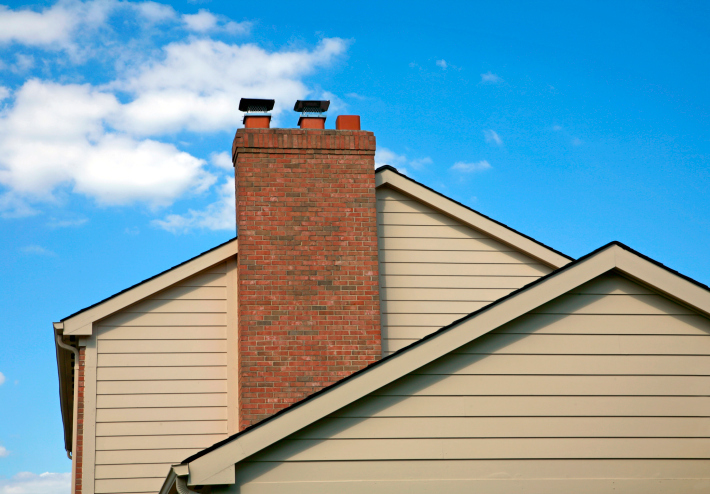 A once-year check of your chimney cover is well worth your time. Time, weather, animals and insects can loosen your chimney chase cover’s attachment to your flues or chimney. Galvanized steel chimney chase covers generally last about 3-5 years depending on the amount of heat and weather they are exposed to. In salt water environments, galvanized chimney caps will corrode even more quickly.